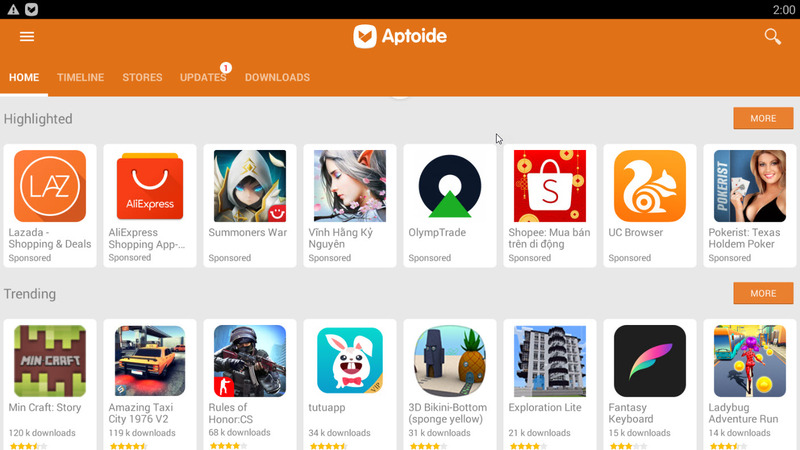 Aptoide is an independent app store where you can easily search for android apps for free download. Aptoide works great on Firestick, Amazon Fire TV, Android smartphones, and even a PC Windows 10 running the Bluestacks App Player. Here we will guide you how to download Aptoide for Windows 10 PC 32 bit and 64 bit. Step 1. Download and install the android emulator software Bluestacks. Go to this webpage to download. Step 2. Download latest version of Aptoide Apk for PC click here now. Step 3. Right click on Aptoide Apk and select Open with BlueStacks Apk Installer. Now, you can register for free to create your own App Store within the app with all your favorite apps.